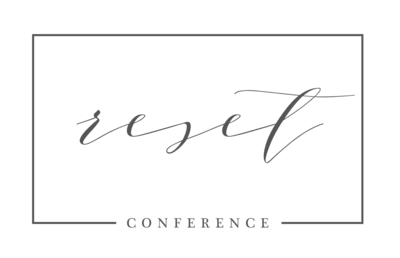 Our guest post today is from Reset conference attendee Tiffany Warmowski from Jacksonville, Illinois. She and her husband Steve run Warmowski Photography together and have built an incredible portfolio together. And while they have photographed international weddings, they are also super involved in their community and local events and organizations. Tiffany has a big heart and we asked her to elaborate today on a nice post she made on the Reset page following the conference. 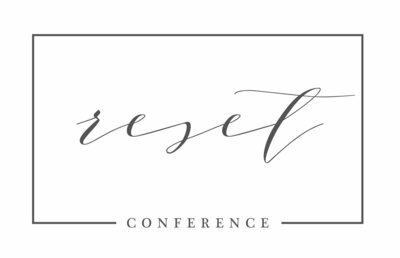 The goal of “community over competition” permeates every part of the Reset Conference. My husband and I are celebrating our 10th year of business. We have gone to many conferences. I notice that the definition of success at other conferences is different than the definition of success at Reset. At Reset, the speakers are, of course, financially successful and make incredible images, but their goals and definitions of success tend to revolve around family/work/life balance, giving back to the community and spiritual/emotional health. It is clear these are also the goals of Rebekah & Kellie. I feel like the speakers are “one of us” and not high on a pedestal with egos too big to fit in the room. Do some of them have amazingly large & super fun personalities, YES! But they talk with us, not at us. They are approachable and it’s refreshing. We asked Tiffany a few questions as well. The first was what her main goal was heading into Reset 2017. 1) My #1 goal was to figure out how to use Instagram, Pinterest & Facebook more smartly. I definitely got some answers about this at Reset. The ideas have been fermenting in my head and I plan to use the first 2 weeks of June to map out my plan for social media. What things did you learn at Reset that you’ve already implemented into your business? 2) The overreaching message of Reset, to me, is that relationships are what matter the most. We need to work smarter so we have more time for our families, community and ourselves. We need to be authentic and connect with our clients. We need to figure out our “key words,” examine what message we are sending out and focus on building relationships with the people that message attracts. We photographed a challenging client before I came to Reset. I did the In-Person Sales appointment after Reset. I completely changed my attitude before going into the meeting and decided to let go of our previous experience with the client. I met her where she was and we really connected. That is the kind of business I want to run. If you had a friend thinking about coming to the conference, what would you say to convince them they need to come? 3) There are a lot of photo conferences out there, but how many of them speak to the emotional reasons of why we do this job? How many of them address issues that go beyond shutter speeds and f-stops to talk to us about WHY we do what we do? Reset does that — and surrounds us with people who understand us. Thanks so much Tiffany for sharing your heart and emphasizing the underlying motivation behind Reset for Kellie & Rebekah. We think you hit the nail on the head and are so glad that you’ve found a little bit more of your “why”!! You can follow the work of Steve & Tiffany Warmowski on their website and Facebook.